Malta Homes property for sale and to let estate agents are pleased to be associated with a reputable car hire company that offer a friendly and reliable car hire service for Malta and Gozo, offering a selection of well maintained cars at very reasonable prices. 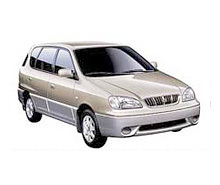 For quality service, peace of mind and an enjoyable care free visit/holiday we can thoroughly recommend Aquarius Rent a Car of whom, have provided car rental services to many of our clients that have been more than satisfied with the service and vehicles provided to the extent of repeat use of Aquarius Rent a Car. You can have a car dropped off at the airport at your convenience no matter what time you are due to arrive and drop the car at the airport upon your return. They offer economy cars, medium sized and full sized cars, luxury cars, minivans/minibuses and the ever popular Suzuki and Maruti jeeps seating five or eight persons. The service together with the vehicles is second to none catering for the automatic car driver to the maunal car driver.